According to Ralph Waldo Emerson, "Life is a journey, not a destination." This is a concept that one man has taken to heart as his journey has led him through some pretty amazing experiences. I was fortunate enough to have the opportunity to interview Larry Hanson while we were both on a Caribbean cruise together this past week. Larry is a multi-talented musician with an impressive history in the music industry. As such, he has extensive knowledge to share, and I certainly found his experiences to be enlightening. Larry is originally from Minnesota. He was exposed to music at a very young age since his mother used to sing in a Lutheran choir and play the piano. He began to play the trumpet in band in the sixth grade, and he continued to play it all the way through college. However, he didn't become completely fascinated with music until he was about 12 years old. He was at his Uncle Buster's house one day. His uncle pulled his electric guitar out and began to play it. Larry describes his reaction as being like "getting hit with a brick". Then his uncle brought another guitar out of the closet, gave it to Larry, and began to show him some chords. It was the beginning of something wonderful. Eventually, Larry ended up in California playing for several different local bands; he frequently played in nightclubs. In 1980, he happened to work for Bill Medley at a nightclub. This led to him becoming a part of Bill Medley and the Righteous Brothers' band in 1981 and 1982 playing the keys, bass, and trumpet. He soon became Bill Medley's music director. Bill Medley also had a country gig that he performed, and Larry was part of that band as well. While promoting his albums, Bill Medley opened for his label mates, Alabama for 20 shows. In 1985, they opened for all of Alabama's shows. 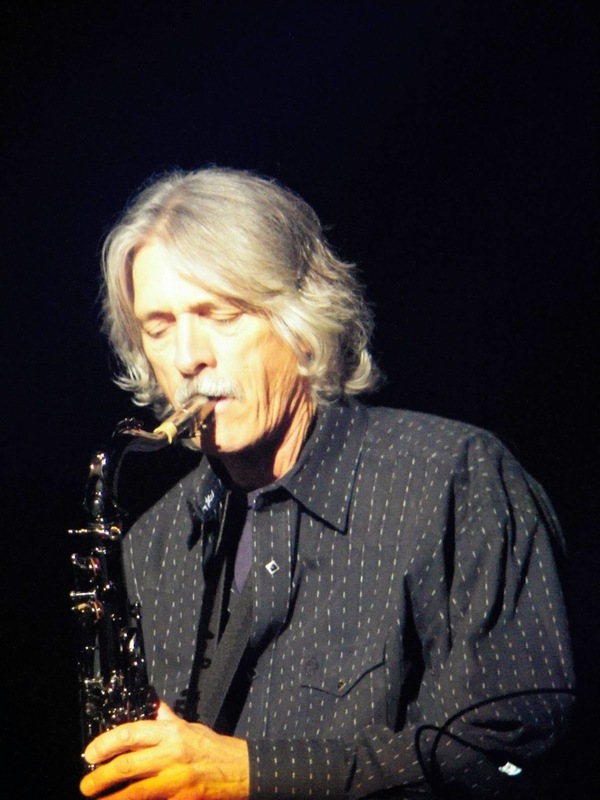 This led up to Larry starting with Alabama in 1987 as a guitarist and saxophone player. He continued to play for the band until 2004 when they performed their last show in October in Bismarck, ND. At that point, Larry turned his attention to his recording studio, Fatback Recording, in Nashville. His studio has produced albums for many well-known musicians, including Robert Plant, Sara Evans, The Texas Tenors, and more. Most recently, his studio produced the album by Mike Farris that won a 2015 Grammy for Best Roots Gospel Album. Additionally, he played several dates with Gretchen Wilson and Kenny Chesney. He also spent some time touring with his daughter, Jennifer Hanson, when he was able to have his first opry performance. Eventually, Larry returned to playing for Bill Medley and ended up moving to Branson, MO to play in the Starlite Theatre for him. While at Starlite, another group, The Texas Tenors, began a show at the theater. Bill Medley's band, also known as the Three Bottle Band, was shared between Bill Medley and The Texas Tenors. After Bill Medley left Starlite a few years ago, several members of the Three Bottle Band, Larry included, remained in the band with The Texas Tenors. 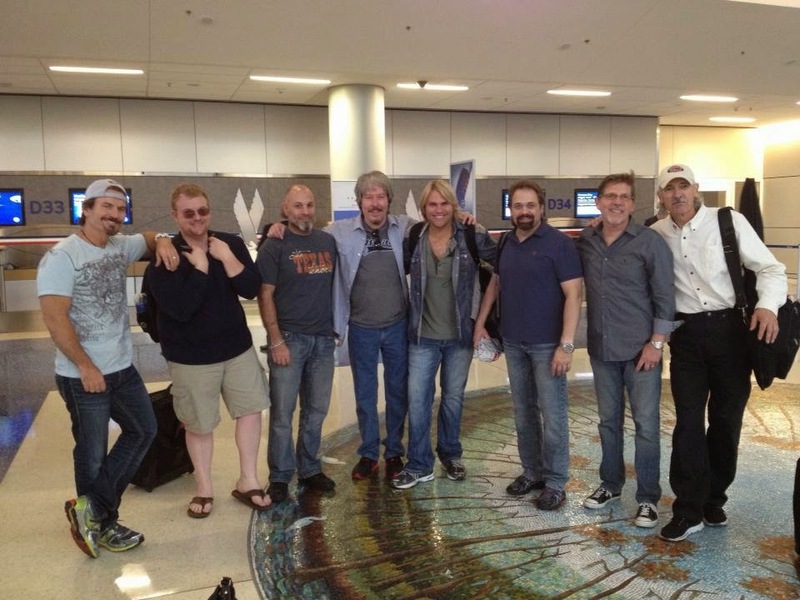 Now, Larry tours with The Texas Tenors, in addition to playing several gigs on the road for Bill Medley. He also still works some with Alabama's Jeff Cook. Currently, he can play a plethora of instruments, including keyboard, piano, electric guitar, acoustic guitar, saxophone, trumpet, mandolin, and much more. According to Larry, the most difficult part about being a touring musician is being on the road all the time. It can sometimes get lonely on the road, so it is important that a camaraderie is established among those traveling together. It is hard to put together a show so quickly in each venue because every venue is different. In fact, it can sometimes take 48 hours to put together a two-hour show. This is because there is the time traveling to and from the venues, rehearsal times, sound checks, setup, tear down, lighting rehearsal, and much more work that goes into each performance on the road. It can be extremely tiring. Furthermore, for Larry, traveling all the time means that he does not get to see his wife, three kids, and granddaughter as much as he would like. It also means there is little time for his hobbies, which include golfing, playing the piano for hours at home, walking, and visiting his kids. These are factors that all musicians need to understand and take into consideration before becoming a touring musician. One of the best parts about being a musician, according to Larry, is that music always has something that can be improved. No matter how great something sounds, it can always be done better. This is why practice is so critical to a musician's success. Even the best musicians need to practice. Furthermore, music provides a universal connection for even the most unlikely people. Larry noted one case where a 9-year-old boy in Florida is able to communicate with Larry in musical terms. They both have something they can learn from the other. Even though they are generations apart in age, when it comes to the music, they are the same. Larry believes that all of his previous experiences have been tied together now that he is playing for The Texas Tenors. He noted that he found it interesting that two of the songs that led to their success on America's Got Talent included Alabama's Mountain Music and The Righteous Brothers' Unchained Melody, two groups that were major components of his life. He is looking forward to seeing where the future as a member of The Texas Tenors' band takes him. One of his biggest goals is to earn a Grammy in songwriting. As Larry put it, you have to make your own breaks in life. Never dream too high, and always be on a path and have established goals. You never know where your path may lead you, so enjoy the journey. After several posts highlighting some of the many wonderful entertainers in Branson, I thought it would be interesting to gain a different perspective into the entertainment industry by interviewing somebody who spends most of the time working behind the scenes. This type of person is partially responsible for the success of the entertainers by working tirelessly to ensure there is a good audience and that the audience always has an excellent experience. One of the best choices to fit this description is Linda Merkling, the general manager of Branson's Starlite Theatre. A lot of education and experience went into eventually becoming Starlite's general manager. Linda's journey started out by attaining a degree from Missouri Western State University in St. Joseph, MO. While attending school, she also worked in food service. After college, she stayed with that same company and rose into management. After ten years there, she began working for a furniture business managing retail stores in Springfield, MO. She stayed with that company until it went out of business, and then she entered into the radio business. Initially, she was responsible for working on sales, advertisements, marketing strategies and promotions, etc. She entered into sales management with the company and remained there for 15 years. At that point, she realized the value of networking when one of her clients in Springfield happened to be one of the owners of the Starlite Theatre in Branson, MO. He encouraged her to look into becoming the theater's general manager. Now, a year and a half later, she is full of ideas and plans to continue building the success of Starlite. Her job is full of its own challenges and responsibilities, but the results are memorable and exciting. As a general manager, Linda has many responsibilities. These include, but are definitely not limited to, providing customer service, working with other employees to control labor and expenses, collaborating with the city of Branson to increase tourism, and always being two steps ahead and ready for the future. Linda's primary focus is on marketing and customer service. She believes that by emphasizing these two areas, ticket sales will be increased. By maximizing the number of seats filled, business will be brought to the other areas of the theater (gift shop, concession stand, diner, etc.). According to Linda, there are three types of customers in the theater business. The first is the external customer, or the people that buy the tickets. The second customer is an internal customer, or the employees of the theater. The final customer is the entertainer. She says that it is important to understand each customer and respect everyone. Then everyone will be able to work together by building teams and relationships to build the best business possible. Linda believes that one of the major reasons she is so successful in the theater business despite being fairly new to the entertainment industry is that she is so new to the industry. Instead of trying to do what other theaters have done, she has come in with new information on what has worked in other businesses. She maintains that the entertainment business has the same concept as any other business. A successful person learns the product, controls expenses, and applies relevant business concepts as needed. However, the entertainment industry is definitely not without its unique challenges. Fortunately, Linda loves the challenges associated with the industry. One of the biggest challenges is trying to manage so many different businesses under the same roof. As mentioned earlier, by focusing on ticket sales, business will improve in all areas. Another challenge is that each entertainer has different needs that must be understood. Additionally, each entertainer brings in a different type of audience, so Linda must understand the different audiences in order to know how to market to those individuals. Along with this, it is a challenge to find the right group of people to employ that will care about the service and treat each customer right. Finally, a huge challenge is one that cannot be controlled: travel. It is impossible to control how the weather will be or the prices of flights or gas. Yet these are also important factors that drive ticket sales. This means that Linda and Starlite's team need to plan for handling situations that are out of their control. By facing and overcoming all of the challenges, it is possible for Linda to experience what she notes as the exciting parts of her job. She loves to watch the theater's guests have a great time and create lasting memories as a result of her (and everyone else in the theater's) hard work. The best part is when those people return and tell her what the theater means to them. Linda mentioned a couple from Pennsylvania that comes every year and tells her what a wonderful job she is doing and how the theater is the greatest theater in town. They even took her out to dinner to thank her. It is in moments like that when everything becomes worth the effort. As was previously mentioned, Linda strives to always stay two steps ahead. This means that she has many goals outlined for the future of the theater and for herself. Primarily, she wants to ensure that Starlite is providing top notch entertainment. This means that she needs to make sure that she is bringing in acts that people want to see and that will fulfill the theater's needs and goals. Additionally, she wants to work on growing the diner, a plan that she intends to begin implementing next year through menu changes as well as layout changes. She also intends to have the theater involved in more promotional events that will improve the theater's standing and recognition in the community. At some point, Linda would like to be able to step away somewhat so that she can pursue other projects. For instance, she hopes to eventually be able to help other businesses with the marketing aspect so that she can share her wide array of knowledge and experience with others. By hiring and training a great staff, it should become possible for her to do just that. Being able to delegate tasks to others is one sign of great leadership according to North Carolina State University. Delegation is important because it increases both efficiency and development. On the more personal side, Linda would like to make more time for her husband, her family, and her spirituality. She strongly believes that God wanted her in Branson, and she intends to utilize this opportunity to its fullest. Finally, she has several hobbies that she would love to indulge in more if possible. These include hiking in the woods/on trails, mountain biking, camping, antiquing, enjoying girls' days, visiting wineries, and traveling (especially to Italy, Ireland, or Hawaii). Throughout Linda's journey, she has acquired enough experience to be able to provide helpful advice for those looking to enter into the business and/or entertainment industries. From the management aspect, she cites the importance of managers being able to multi-task. They also need to be able to train and instill trust in their employees so that they can step back and give those employees the autonomy to make their own mistakes and learn from them. Mistakes are experiences--they can be corrected for the next time. She understands that good managers do not micro-manage their employees. Instead, they learn every aspect of the business as well as understand the strengths of their employees. Then, it is possible to capitalize on those strengths in order to be successful. Managers also need to be good planners and organizers; they need to be able to see ahead and make plans for the future. On the entertainment side, in addition to being able to multi-task, it is also important to be unique, open-minded, listen to input from many people, be flexible with constant changing, and think ahead at all times. Linda also recommends reading the book Soar With Your Strengths by Donald O. Clifton and Paula Nelson. This book focuses on developing strengths and acknowledging weaknesses based on years of research. It is an excellent tool for managers or any person looking to enter into the business world. One of Linda's favorite parts of her job is the diversity of what she does. No day is ever the same. Although there is a lot of time and effort put into becoming an effective manager in the entertainment business, in addition to many challenges that must be overcome, in the end, it can be an extremely exciting and rewarding experience. Or in Linda's words, it is one "wild ride". What would you like to be when you grow up? Teachers, parents, and many other adults ask this question of every single child at some point. Commonly, the answer is something along the line of a doctor, an astronaut, a basketball star, or some other profession that fascinates young children. For Mike McAdoo, his answer to that question in 7th grade was that he wanted to become a guitarist. Unlike many others’ childhood aspirations, Mike was able to turn that dream into a reality. On Mike McAdoo’s 10th birthday, his mother asked him if he would like to take guitar lessons. Like most kids of that age, he jumped at the chance. As luck would have it, he became hooked and spent the next six years studying the guitar and taking lessons in a local music store. These lessons also prepared him to become an instructor who would teach lessons for 18 years in music stores. At the age of 14 and 15, Mike attended a music school in Texas for the summer. While there, he learned how to play fingerstyle guitar using a technique similar to that of Chet Atkins. This legendary guitarist soon became one of Mike’s major influences. 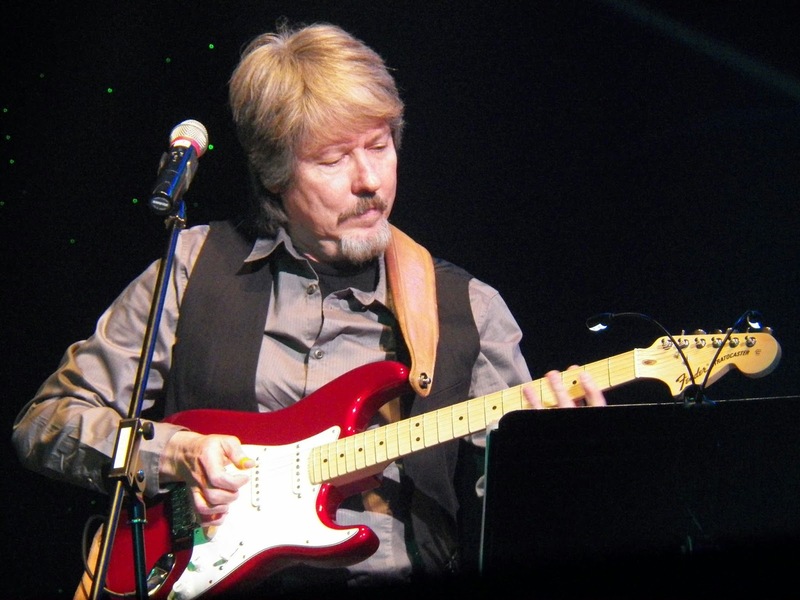 Mike began playing his guitar professionally in 1977 and has made a living with it ever since. 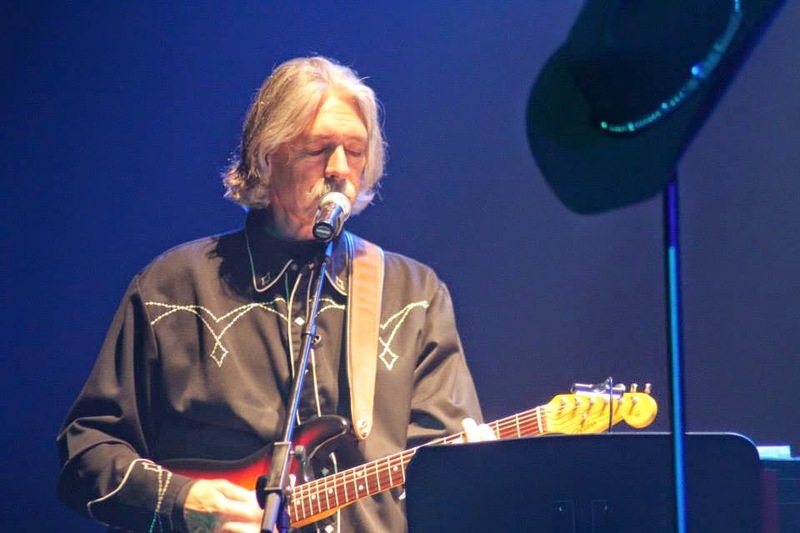 About a year after marrying his beautiful wife, Kim, a man named Al Wilson and his wife told Mike about somebody they knew in Branson that was looking for a guitar player. He quickly put together a cassette of his guitar playing and sent it to this man. Mike ended up being hired for the job over the phone. Until that point, he knew nothing of Branson and had never been there—until he moved there in 1986. 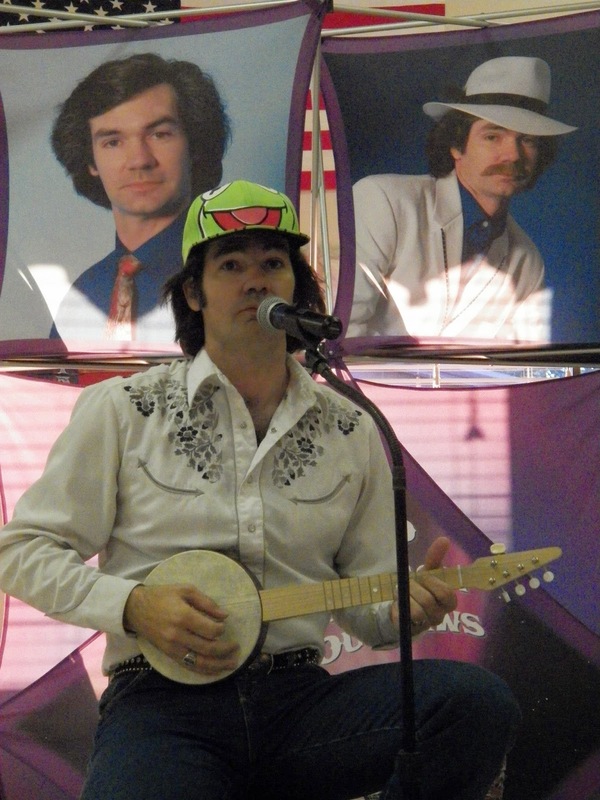 Since then, he has played in several different shows in Branson. He started out playing for Buddy Greene until 1987 before switching to play for Shoji Tabuchi for several years. One of his longest running gigs was as guitarist for the Osmonds. He played for them for six years, performing in front of an average of 400,000 people yearly. 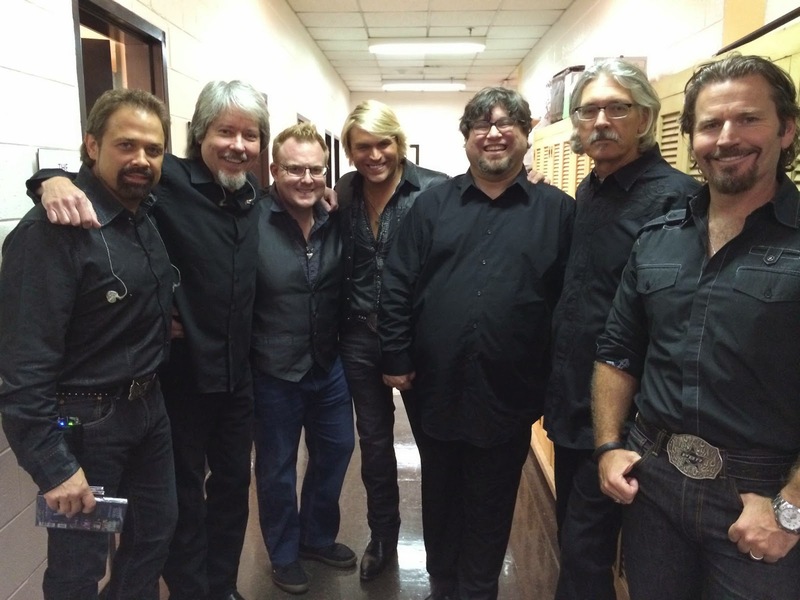 Most recently, he was the lead guitarist for The Texas Tenors from 2012 until a few months ago. While with them, he traveled all over the country. In fact, he played in more states with them than ever before. Now, he is a guitar instructor at Evangel University in Springfield, MO. To date, he has spent 18 seasons in Branson. Occasionally, he will move away (he taught guitar at a high school in Texas from 2004-2005), but he always moves back to Branson. In addition to his extensive history, Mike has had some very unique experiences as a guitarist. One of these experiences was in April of 2009 when his show went overseas to play for the troops in Baghdad, Iraq, and Ramstein, Germany. Then, while he was playing the guitar for The Texas Tenors, he was fortunate enough to take part in a PBS Special called The Texas Tenors: You Should Dream that aired November 30, 2013, and is still being aired across the country. In fact, this special was the recipient of three Rocky Mountain Emmy Awards on October 18. Most recently, a song that was on Mike’s Tribute to Chet Atkins CD, ‘Yankee Doodle Dixie’, was licensed to appear on a NBC Universal video game on Xbox called ‘Slap Shot’. This game is expected to come out sometime this fall. Additionally, Mike has been the recipient of numerous awards such as the Best Lead Guitarist in Branson from 1995-1997. He has also been published in several different publications including Guitar Player Magazine in 1988, Peavey Monitor in 2001, Acoustic Guitar magazine in 2003, and Wood and Steel magazine in 2005 and 2009. Mike knows firsthand how difficult it is to make it in the music industry. According to him, the best way to do so is to be persistent. It is important to have the support of friends and family, but an aspiring musician needs to step out of his/her comfort zone. Mike also noted that there is a lot of competition in the music industry, especially in Branson where there is so much talent. Doing your homework ahead of time becomes especially important. In the end, it is worth the trouble. Mike says that the best part about actually being able to perform live with a group is that you know you are good enough to be up there, and you get to watch the people in the audience enjoy what you are doing. That is exactly what makes it so exciting. That feeling is what has kept Mike playing the guitar professionally for 37 years. When Mike is not playing his guitar, he is either teaching lessons, playing golf, spending time with his wife and daughter, or recording demos for other people in his recording studio. He has also recorded several CDs of his own and created several instructional DVDs. If interested, the CDs and DVDs can be purchased through CD Baby or Amazon. Although he has already accomplished most of what he set out to do with his career, he does still have some dreams in mind. One of these is to write and record a song that is cut by a major artist. Knowing Mike and his persistence over the years to become a professional guitar player, he will be able to achieve his dream. After all, he is the perfect example that dreams can come true. We all have obstacles to overcome. Many of us face more obstacles than others, but we all face them at some point. What distinguishes some people from others, however, is how they handle those obstacles. Basically, according to Steven Claunch, we are given two choices. We can either let the obstacle consume us and drag us down. This gets us nowhere and leaves us feeling defeated and depressed. Or we can decide to beat that obstacle and use it as an opportunity to become successful. This is definitely true in the music industry as well since there are many obstacles that aspiring entertainers are faced with in order to become successful. Each entertainer has their own story. This is certainly true of Keith Allynn, an entertainer with an obstacle or two of his own. I was fortunate enough to be able to interview Keith Allynn for this entry after attending his concert, A Neil Diamond Tribute. He put on an excellent show; he is an extremely talented singer, but he also adds just the right amount of humor to make the entire show absolutely perfect. Although I have seen many shows in Branson, I would definitely recommend this one as one of the best. Upon first meeting Keith, you would think him to be a friendly, quiet, and extremely funny person. You would never suspect that he deals with Asperger's Syndrome on a daily basis. For those of you that are unfamiliar with Asperger's Syndrome, it is a form of autism. According to the Autism Society's website, the biggest difference between Asperger's and other forms of autism is that those with Asperger's are capable of interacting well with others and do have good language skills. However, they tend to be somewhat awkward socially and have trouble showing emotions. Keith says during his show that one of his biggest fears is a crowd of people that he doesn't know. As an entertainer, it is important for him to find ways to overcome that fear. Prior to each performance Keith does for A Neil Diamond Tribute, he comes out to talk to the audience for awhile and answer any questions. As he often says, he does not do that for the audience; he does it for himself. By meeting those in his audience ahead of time, he is able to, as he says, move them from strangers to friends. This allows him to do things during the concert such as come into the audience and shake hands. One might wonder how someone who has Asperger's Syndrome got into the entertainment industry. According to Keith, he always knew that he wanted to be the center of attention. His reason for this was that by being in the center of attention, no one talked to him. He wasn't expected to converse. Keith also states that his main gift is that of mimicry, not of singing. At the age of 14, Keith went to a comedy club on Amateur Night and did impressions. As a result, he was hired as a crowd warmer for George Wallace. He did this for six years until joining the navy at age 20. He never really sang until he was stationed in San Diego. He ended up singing an Elvis song for karaoke one night. Everyone loved it, so he decided to learn over 400 of Elvis' songs and become one of the top Elvis tribute artists in the country. After 14 years of singing Elvis, Keith ended up in Branson for an Elvis competition (which he won). He was told that he should stay in Branson and start his own show. At that point, he and his wife decided to move to Branson. Keith tells the story throughout his show of how he came to put together a show for Neil Diamond. Basically, he performed Elvis in Branson for awhile, but then he decided he wanted to put together a comedy show. He did so and came out with a show that is now called On the Road Again starring Not Really Willie. Although for a long time this show was only performed on the road, it can now be seen in Branson at the Historic Owen's Theatre. This show featured many of the voices of which Keith does impressions, including Willie Nelson, Conway Twitty, Kermit the Frog, Satchmo, and many more. As Keith told me, Neil Diamond was never part of the music that he listened to, but his wife was a huge Neil Diamond fan. Following the advice of his wife, Keith decided to put together a tribute to the singer and songwriter Neil Diamond. He has now been performing Neil Diamond's music for six years. 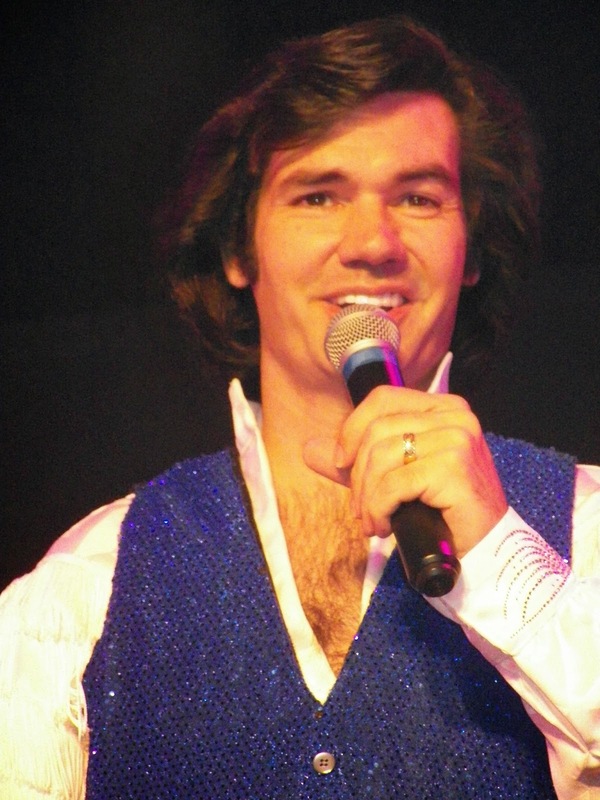 This is his first year performing at the Historic Owen's Theatre after moving there from the Jim Stafford Theatre. Keith shared with me that he loves to perform both comedy and Neil Diamond. With comedy, it's a different show every time. You never know what you're going to get. With Neil Diamond, he gets to pay tribute to one of the greatest songwriters of all time and perform music that has become very special for both he and his wife. For him, it is all about getting to share his talent with his audience. He repeatedly tells his audiences that it wouldn't matter if there were two people or two hundred people in the audience; them being there completely makes his day. He loves to perform and is comfortable on stage. If it weren't for him being able to overcome his own personal obstacles on a daily basis, he would not have the opportunity to be doing what he loves each and every day. 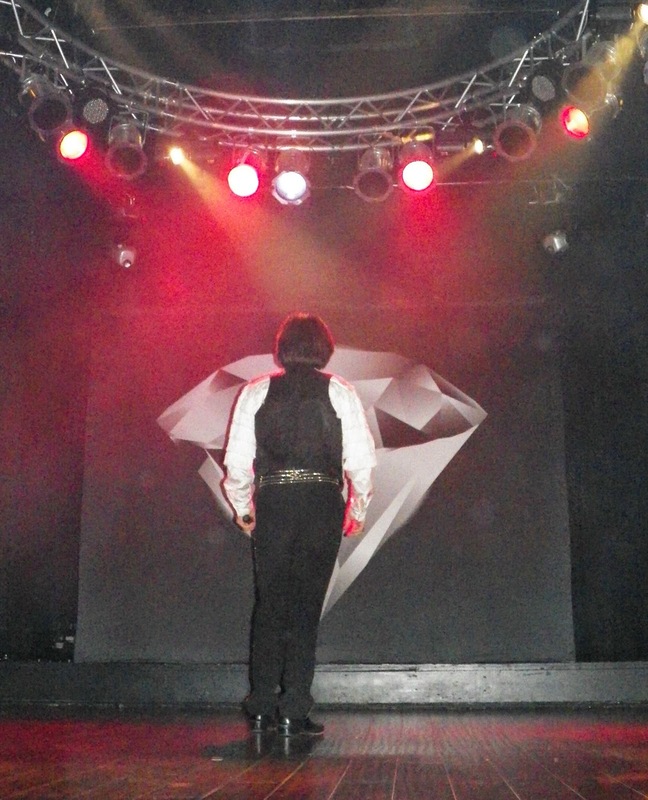 Debi Diamond is currently the promotions, marketing, and sales manager/booking agent for The Diamond Image, Inc. She handles contract negotiations for two different shows: A Neil Diamond Tribute starring Keith Allynn and On the Road Again starring Not Really Willie. Although these shows spend most of the year at the Historic Owen’s Theatre in Branson, Missouri, Debi’s job is to book roadtrip gigs for both shows during Branson’s off-season. Last year, she booked a three-month winter tour that consisted of 48 gigs in 52 days. This year, she is hoping to book 55 gigs over a two-month time period. Negotiations play an important role in booking these two shows in different venues. She must negotiate with each venue to first of all book Keith Allynn and his shows and then to come to an agreement on cost, lodging, and dates. Although Debi has not been a negotiator for very long (she first began in 2011), she has become familiar with several different negotiation tactics and identified how to handle each one. The main tactic Debi uses is to work toward a mutual benefit. In order to book a venue, Debi first conducts an Internet search in the area around another venue that Keith Allynn is already booked in. She has specific mileage requirements for between the venues. Once she identifies a venue that meets those requirements, she begins to research the venue. She first takes a look at what type of venue it is and whether it is looking for outside entertainment. Then she researches the community it is located in to determine the local economy. Finally, she makes a cold call to the venue where she proceeds to find out what the venue’s needs are before she tells the venue how Keith Allynn’s shows will fit its needs. Once an offer has been made, she then researches the size of the venue, average attendance, and average price of ticket to determine whether or not the offer is fair. She keeps in mind at all times that the venue has its own costs that it needs to cover, but at the same time, she needs to find an arrangement that will be beneficial to both parties. She believes the best solution is a win-win solution for both sides. Unfortunately, Debi has encountered positional bargaining in many instances while negotiating contracts that prevent the involved parties from finding that win-win solution. This usually ends up being counterproductive and leaves both sides at a standstill. She finds that this happens most often in cost negotiations when the venue is insistent on a specific cost and does not want to consider changing. At this point, Debi will usually offer other options that will bring the costs down for the venue while at the same time allowing the venue to pay The Diamond Image, Inc. a greater amount. Some of these options include ticket splitting, no deposits, or not paying travel expenses. Venues often find these to be attractive options and agree to continue negotiations. One of the biggest areas that Debi has identified she needs to improve on is separating the people from the problem. This is because she tends to have a temper and take things personally. When the person she is negotiating with says something she does not like, she has a tendency to get mad and not want to deal with that person. This is despite the fact that she knows she needs to keep a business-like demeanor and remove her emotions from the situation. Her main goal is to look at everything she does as a negotiation and work on keeping her emotions at bay. It will be difficult to do this, but she intends to work hard on doing so. As Debi works toward her target of booking 55 shows by the end of the year, she will continue to improve her negotiation strategies. Working toward a mutual benefit will remain her focus, but she will also strive to keep positional bargaining to a minimum and separate the people from the problem better than she currently does. There are always areas to improve on when it comes to negotiating, and Debi is more than ready for the challenge. Most people have heard many times in their life that they should never take anything for granted. This is true for all aspects of life from relationships to career success. Just ask Ron Santulli, someone that has been in the entertainment industry for decades. According to Ron, everything is a learning experience, especially in the entertainment business. All opportunities are important because they give an aspiring entertainer experience, great stories, and the ability to get comfortable with his/her own identity. These opportunities should not be taken for granted. According to an article on The Bright Path, we all need to learn to be thankful for what we have. This article states that in doing so, “you transform your perspective on life. No longer are you a victim, lost as life pushes you in whatever direction it wishes.” This exemplifies Ron’s idea that by not taking anything for granted, you are allowing yourself the room to grow into something even better. Ron has been fortunate enough to have many opportunities throughout the years. In fact, his story is extremely fascinating. I was lucky enough to have him share his story with me in an interview recently, and I want to share his journey with all of my readers so that they can hopefully learn something from it as well. Ron’s story begins in Brooklyn, New York, where he was born. He knew from a very early age that he wanted to become a singer. Starting when he was 3 ½ years old, he began to perform at family gatherings. His dad would put a chair out and make him stand on it and sing—for 2 hours!!! As he grew up, Ron sang along with the songs on the radio. Eventually, he also developed a passion for Broadway. This came from his mother who listened to Broadway music. At the age of 12, Ron attended his first Broadway production—Oliver. An interesting fact to note about that production is that Davy Jones was actually part of the show. In 1964, when the Beatles were rising in popularity, Ron decided that he wanted to take guitar lessons. So take guitar lessons he did—for a whole $2.50 an hour. This generated his interest in bands and further increased his interest in music. In 1967 and 1968, he even was part of a high school rock band where he got to play the bass and sing baritone. Eventually, Ron’s entertainment interest expanded into drama. Initially, his Catholic high school had no drama club, so there was nowhere for him to develop his interest. Instead, he spent 3 ½ years on the track team, even though he hated it. However, his senior year of high school, a producer was putting on shows for high schools, and Ron had the opportunity to audition. As luck would have it, Ron got the lead role, so he quit the track team. He even got the best singer award for singing “I Left My Heart in San Francisco”. From this point on, Ron moved from one experience to another. In 1968 he joined a drama group. This happened to be where he met his future wife (to whom he married in 1975). Ron also auditioned on Good Friday in 1970 for Summerstock, which put on plays during the summer. He got to be both in the show and doing background stage. Ron went to Brooklyn College to major in speech and theater. He noted that one of the best parts of going to school there was that his professors were actors and stage techs on Broadway. While in college, he had the opportunity to participate in community shows in order to gain more experience. Before working for 11 years for Air France, Ron worked off Broadway in a box office. In 1987 he and his wife moved to Florida where he got a job working for Disney. He stayed there for 14 years and became a spokesman for MGM. He also put together a group that performed Joseph and the Amazing Technicolor Dreamcoat. It lasted a month. Later, he was asked to do a Halloween party as an Elvis character. He spent the next year and a half as an Elvis impersonator. In 2001, he moved to Las Vegas. He last performed as an Elvis impersonator in 2004, where he performed for 3-4 days in one of the casinos. The next chapter of Ron’s life began in 2010 when he moved to Branson. Ron was given the nickname of the “Branson Crooner” by Randy Plummer, a Branson musician with whom Ron had been friends with since the 90’s. Ron became a regular on Karen Berka’s Branson radio show. When a Christian nightclub called Nightlight opened up in Branson, Ron became a headliner there for 3 years along with Voices of Glory. This allowed Ron to develop a fan base. Unfortunately, the club ran out of funding and closed. As luck would have it, Ron’s associate producer, friend, and co-worker Mark Daniel invited Ron to perform at Grandma Ruth’s. Mark’s mom and brother work to make the cinnamon rolls that have made Grandma Ruth’s popular. These cinnamon rolls and coffee are available for people to consume while listening to Ron’s show. There is a neat history associated with Grandma Ruth’s as well that has led to its increasing popularity. The business started off on Hwy 76. As people began to fall in love with the cinnamon rolls, theaters in town began to call them to make cinnamon rolls for their shows. Then, the Leap Year tornado hit Branson in February 2012. It missed Grandma Ruth’s by 30 feet. Hwy 76 was completely closed, and they decided to take cinnamon rolls to the workers along 76. Power was finally restored after a week. A couple from Chicago contacted the newspaper about this good deed, and the local station, KY3, eventually picked it up. Now, they have moved to a location on the corner of Gretna and Green Mountain. This past January, they opened up another part of the store. In addition to having room for people to purchase and consume the cinnamon rolls, there is now an area open for people to enjoy free live music and relax while eating the cinnamon rolls. This is how Ron became involved. Grandma Ruth’s will be going national next year with 6 stores in Iowa, Missouri, and Illinois. Currently, Ron is scheduled to perform from 9-11 on Thursday and Friday mornings, although he can often be heard even earlier. This is in conjunction with a position working in the Starlite Theatre box office. He plans to retire from his box office job this September, at which point he will be performing five days a week at Grandma Ruth’s. This is his ideal job because it allows him to have a wide repertoire, meet people, and perform in a family-like atmosphere. I had the pleasure of sitting in on one of Ron’s performances at Grandma Ruth’s and would definitely recommend it to anyone looking for a place to relax and listen to several hours of good music without having to pay an arm and a leg in ticket prices. Ron passes out a list of music to his audience and allows them to choose what songs he will sing. This means that each performance will be different. When I asked Ron about his plans for the future, he has two very definite plans. First of all, Ron has 6 CDs to date, but he intends to record even more. Second, he plans to keep performing at Grandma Ruth’s for as long as possible, or as he told me, for the next 20 years. Ron is the perfect example of making every experience count. It is true that each of his experiences pushed him toward the next step in his life. Through the many challenges in his life, Ron was able to excel and discover himself. He never said no, performed as often as possible, received as much training as possible, and knew when to make sacrifices in order to reach success. I learned a lot from listening to Ron’s experiences. Mainly, I know I certainly will do my best to never take anything for granted. Every experience is important. Also, Grandma Ruth’s makes great cinnamon rolls! Susan Cain, a proclaimed introvert, discussed the importance of introversion to creativity in her speech The Power of Introverts on Ted.com. She began by telling a story of when she was younger and went to camp for the summer with a suitcase packed with books only to realize that she was expected to forget about the books and be adventurous and social. The rest of her speech focused on her own journey to overcome introversion. Eventually, she realized that being an introvert was something she should capitalize on instead of hide. This is because research actually shows that if an introvert is allowed the freedom to be alone, he/she can produce wonderful ideas that could really contribute to breakthroughs in today's world. Unfortunately, she believes that modern society has tried to suppress introverts both in school and in the workplace by forcing them to collaborate with others. Although Susan is not saying there is something wrong with teamwork and developing social skills, she is saying that there is something important that is missing that will fully develop introverts into great people. Perhaps the greatest part about Susan's speech is the fact that the entire time I was listening to her, I found myself identifying with her and silently saying yes to everything she said. Like Susan, I am very much an introvert. I grew up as an only child in the country. My biggest hobby when I was little was, like Susan, reading. There were very few times I could be found without a book in my hand. As I grew older, I began to put aside the books and focus on activities that would hopefully make me more of an extrovert: basketball, volleyball, dance, Student Senate, etc. Even though I remained one of the quietest people in school, I struggled to be seen as an outgoing individual so that I would not be forgotten. Like Susan, one of my biggest frustrations in school was being forced into group projects. There's nothing I dreaded more because I would much rather work alone. I discovered that when I was in a group, I was very much of a follower and agreed with whatever the more dominant person in the group said. My ideas very rarely were heard. Now, I still struggle with making my ideas known. My junior year of undergraduate school, I went to Nicaragua for the whole month of May for a leadership class. I believe that I would be a great leader if given the chance. I know my capabilities, but unfortunately, not everybody else does. Even though I had hoped this trip would be an opportunity for me to develop myself and become a true leader, I found that the exact opposite happened because there was such a huge focus on being a team while we were there. Susan's speech has made me realize that it is important to be myself instead of the person I believe society wants me to be. I do have a lot to offer this world, and I can be a very creative person when I set my mind to it. Pursuing a future career in the entertainment business will require me to step out of my comfort zone. However, I also need to keep in mind that I will do my best work when I am true to myself. This does not mean I will spend my entire life in complete solitude. Instead, it simply means that I need to, as Susan put it in her speech, "unplug for awhile". Listening to Susan's speech made me realize and come to terms with who I am and how I best function. Now, I can truly say, I am proud to be an introvert.